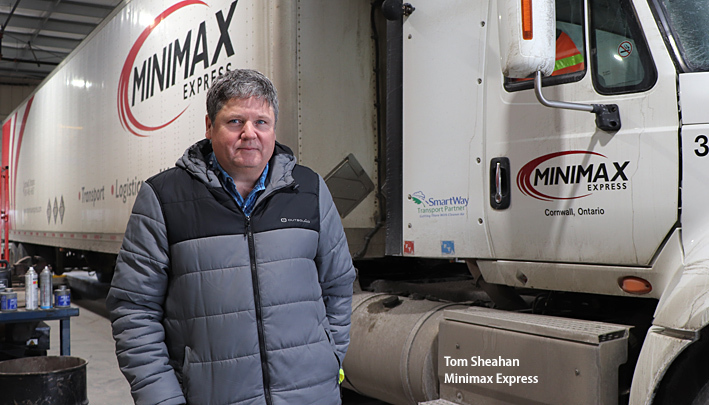 Cornwall Ontario – Minimax Express Transportation continues to invest in its operations to fuel growth. The company recently completed a significant expansion to its Cornwall operations and the move is already paying dividends. The project involved the construction of a new 6,000 sq.ft. addition to accommodate a three-bay service garage. 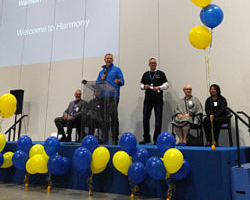 The Minimax facility is located on Education Road in the Cornwall Business Park, a short distance from major distribution centres for Walmart and Shoppers Drug Mart. The company’s extended workforce of professional drivers, freight handlers, maintenance technicians and staff grew to 230 in 2018. In addition to investing in facilities, Minimax has also purchased new tractors and trailers to augment its growing fleet. The company has made additional investments in its Transportation Management System to improve communication with clients and is working on equipping its entire fleet with Electronic Logging Devices to reduce driver workload and increase safety. In November, Minimax participated in ground-breaking research into truck platooning, the first time such a test has been successfully demonstrated on Canadian public highways. This is not the first time the company has led the way to incorporate new technology. In December 2014, Minimax was the first in Canada to purchase trucks powered solely by Liquefied Natural Gas (LNG). 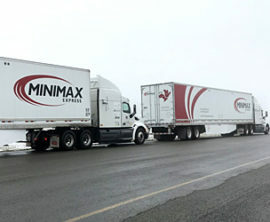 Minimax Express Transportation began operating in 1991 with the goal of providing dependable next day LTL transportation services between Cornwall, Toronto and Montreal. Since then the company has expanded to include service centres in Toronto, Ottawa, Drummondville, Belleville and Kitchener. Minimax Express presently operates 125 power units and 200 trailers.